The race to become Peachland’s mayor could potentially end in a draw. The two top contenders for the job, Harry Gough and incumbent Cindy Fortin, each received 804 votes. Gough had been declared the unofficial winner on Saturday with just a single vote lead over Fortin. But a ballot had jammed in a voting machine on election day, and the presiding election official wasn’t certain that the ballot had actually been counted. 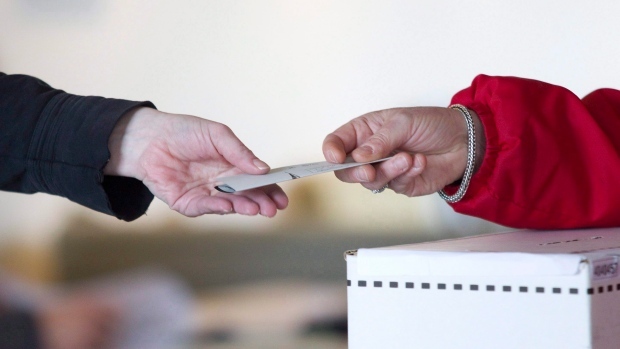 “I called the company that makes the voting machine and told them the scenario and asked them what they thought, and they said they couldn’t be sure,” said Polly Palmer, the chief election officer for the District of Peachland. She was told that it would only make a difference if it came down to one vote, which is exactly what happened. On Monday, the votes were verified in the presence of the candidates and resulted in a tie. “We don’t always go into the ballot box but because of this ballot that I could not be 100 per cent sure got counted, that’s why I decided to take that extra step,” said Palmer. The chief election officer will now apply for a judicial recount tomorrow morning. If that count also results in a tie, the winner will be decided in a draw. Palmer says the Local Government Act gives governments a choice of deciding a winner by lot or by a run-off election, but Peachland’s by-law says it must be done by lot. “The two names go into a hat and one of them will be pulled out,” she said. Palmer says the situation is rare and is not aware of this ever happening in Peachland before.